Brooklyn Bedding deals are available quite a bit in hopes of making sure you receive a comfortably affordable mattress. The deals will depend on the season and time, but you can expect to get a great mattress at a fair price with Brooklyn Bedding. The current Brooklyn Bedding coupon codes allow you to get either 20% off Brooklyn Aurora, Signature, or Bowery mattresses with code SUMMER20 or take 30% off sleep accessories with code ACCESSORIES30. Just use that Brooklyn Bedding promo code at checkout and it will save you big. In addition to these savings, with a purchase of any of these mattresses you’ll also receive free pillows and a sheet set! Brooklyn Bedding offers beds in three firmness levels so that you can get the best sleep around. Each mattress is made to order in the USA. Once you’ve ordered your mattress it will be delivered in a box, which will be easy enough for one person to handle on their own. From there, you just take it out of the box and you’re good to go. The Brooklyn Bedding website can tell you even more about their mattress and what makes it unique. This is a great place to learn about mattress pricing, free trials, and anything else you need to know. It’s also the only place you can use the Brooklyn Bedding discount code. The Brooklyn Bedding Sleep Trial! Brooklyn Bedding wants you to be sure that this is the mattress of your dreams. That’s why they offer you a full 120 nights to figure it out for yourself. If you’ve had the mattress for a bit and just aren’t happy you can return it in the trial period and you won’t have risked a thing. Brooklyn Bedding will have someone take the mattress and you’ll get your money back. 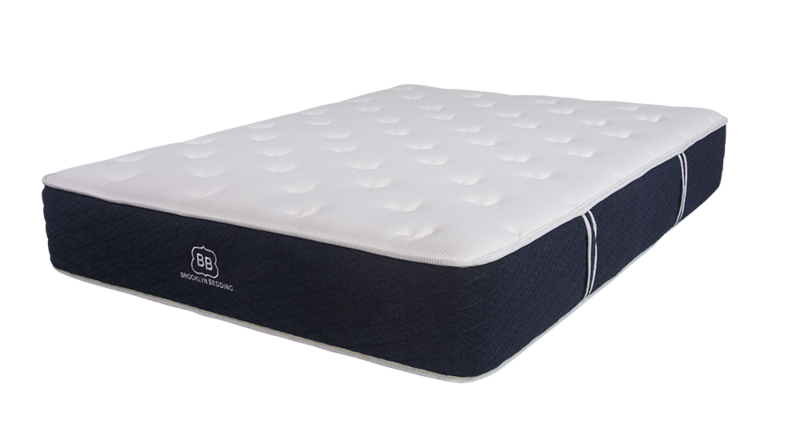 Like many online mattress companies, you will find frequent Brooklyn Bedding deals. Should a new Brooklyn Bedding coupon code become available we’ll be sure to add it here!